I really wanted my first post to be a dinner recipe! But I had so much fun with this latest wedding craft project that I couldn’t help but share it. I found it on Pinterest, its a Martha Stewart idea, but I adapted it to make it a little easier and ruffly. Place powder dye in large bucket and fill bucket with water. Separate all the coffee filters from each other and put them in the dye bucket. let them sit for a half hour at least. Take them out and wring them out well. Put them in the dryer and check on them every once in awhile to make sure they are drying and circulating well not getting stuck anywhere. Take them out of the dryer. they should be very crinkly and wrinkly. This is a good thing. Take six and staple them together in the center of the flower. Staple them so that the flat part of the staple will be on the backside of the flower when finished. Take 6 more (or 7 or 8 it doesn’t really matter!) and staple them together this time stapling so that the flat part of the staple will be on the front. 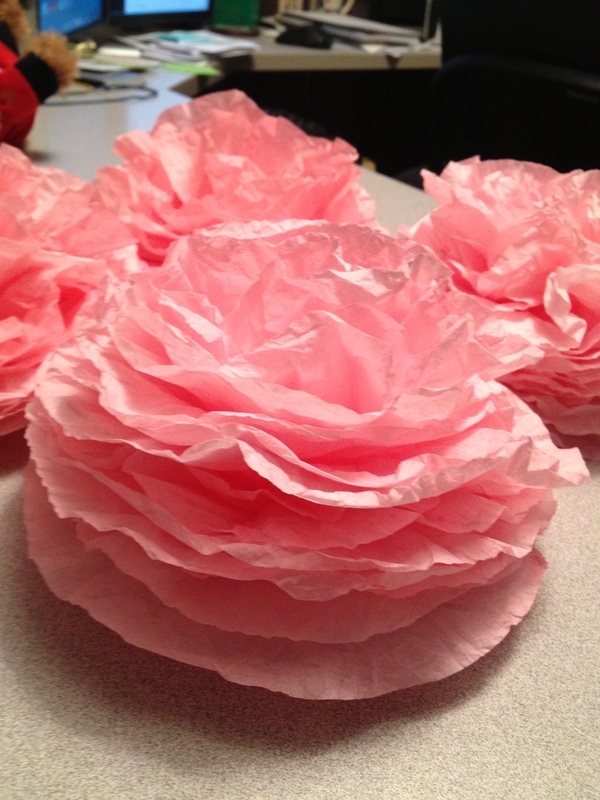 Here comes the fun part, starting from the center top layer pull out and crunch and make ruffly (pretend like you are making a flower from the inside of it out) continue to do this with every layer and fluff it till you have it just how you like! 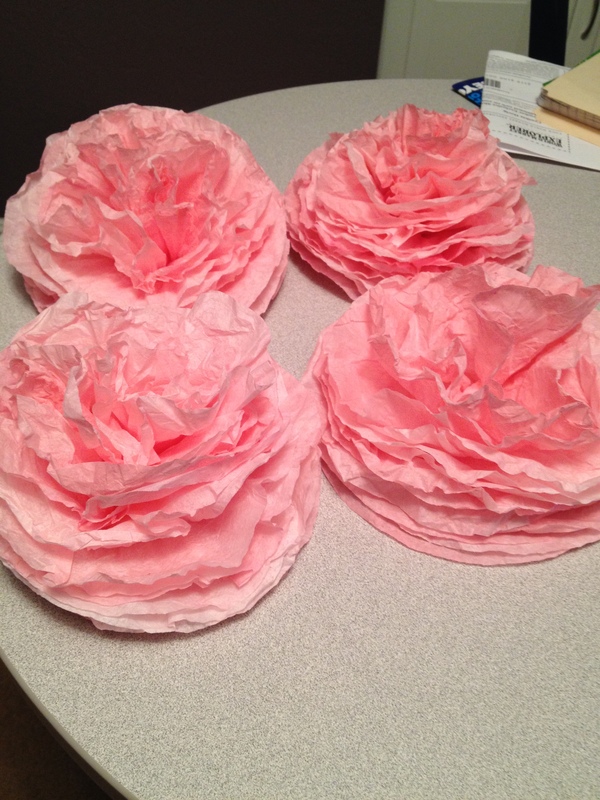 When you have made enough of these you can put a big hot glue dot on the back of the staple and press the twine to it in the desired spot you want it, then sandwich another paper flower the same way to the glue dot (u may want to add more glue) Hold together for a minute to make sure it stays. Keep going for desired length of garland.